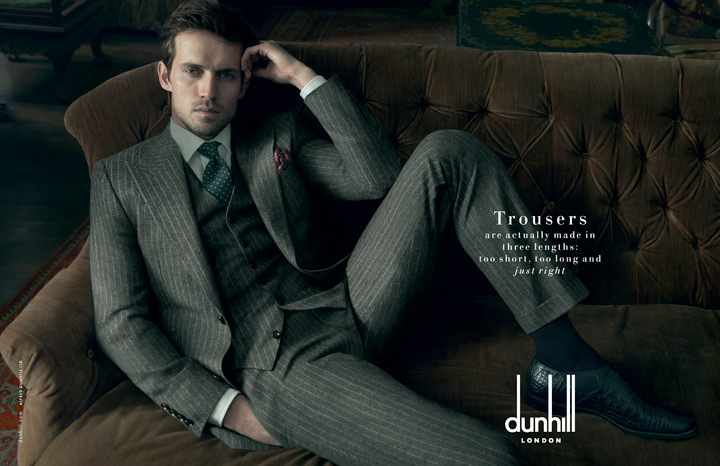 The London-based luxury brand Dunhill has enlisted the help of world famous photographer Annie Leibovitz for a new campaign. 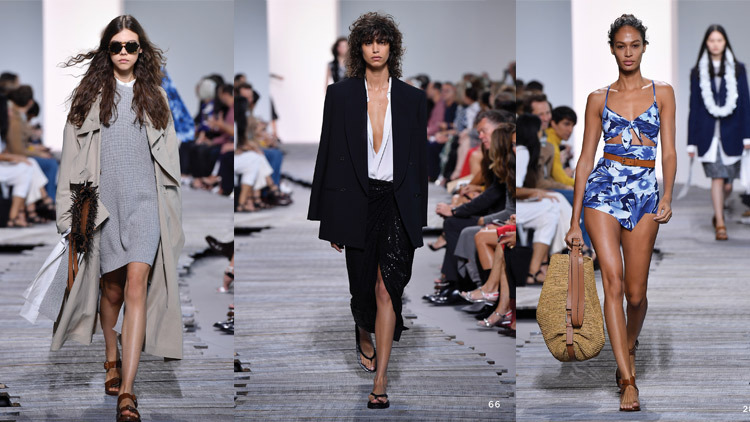 This is the first campaign for the brand's new creative director John Ray, who was formerly head of menswear at Italian brand Gucci. 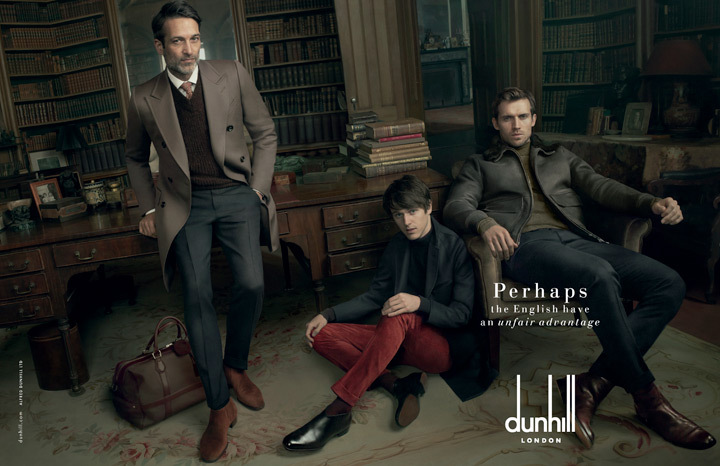 Annie Leibovitz shot models Tara Ferry (son of Roxy Music singer Bryan Ferry), Andrew Cooper and Norbert Michalke in the Fall/Winter 2014 Dunhill collection. Ronnie Cooke Newhouse was the art director for the images which aim to mix traditional British sartorial elegance with a youthful edge. 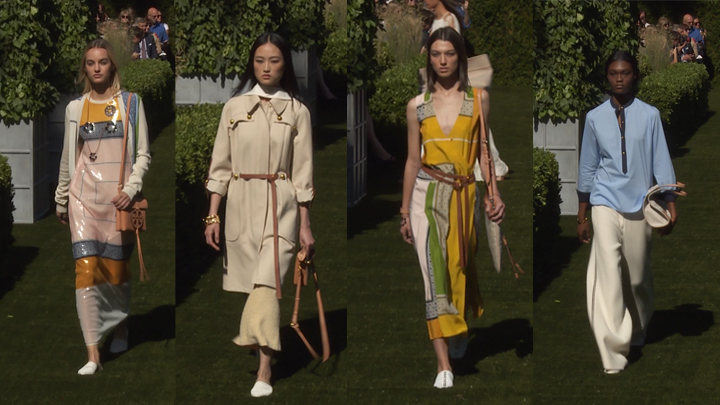 A fun touch: the droll, tongue-in-cheek text over the images reading "Perhaps the English have an unfair advantage" and "Trousers are actually made in three lengths: too long, too short, and just right." "The quintessentially British gentleman carries his life experiences with him -- sophisticated and self-assured," explained Ray. "To be both functional and luxurious at the same time is an aesthetic that I believe resonates with men on an international level," he added.